Signature Collection for a 2018 ballot question to form a commission to study an amendment to the US Constitution to reduce the influence of money on our elections. Support for federal We the People Democracy Reform Act. This legislation will elevate the voices of the American people so we can be heard over the special interests and partisan bickering. This bill will strengthen our elections with automatic and online registration, enabling more voters to participate in our democracy. Advocacy areas are listed in the current Advocacy and Legislative Agenda. Specific legislation supported or opposed by LWVMA, including summary, LWV testimony, links to the bills is available on the LWVMA website. Information about the LWVMA lobbying day, Day on the Hill, may be found at the LWVMA website. 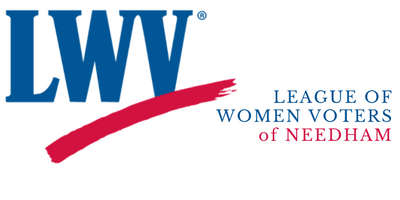 LWVMA Legislation is followed by the Legislative Action Committee, a group of League members who identify appropriate legislation in an issue area and recommend LWVMA advocate for or against the bills. To reach any of the legislative specialists, email specialists@lwvma.org. Recent national League statements on current issues are listed on the national League’s website. Webinar Tuesday, April 23 at 4 pm.